Here's an easy way to set up a 10 or 20 gallon tank with a small bio-wheel filter and a sponge filter that will work together to keep the environment free of uneaten baby brine shrimp (BBS), empty BBS shells, and solid waste. This project is very simple and can save you tons of time and save your fish from damage or death. Raising baby fish can be a lot of work. 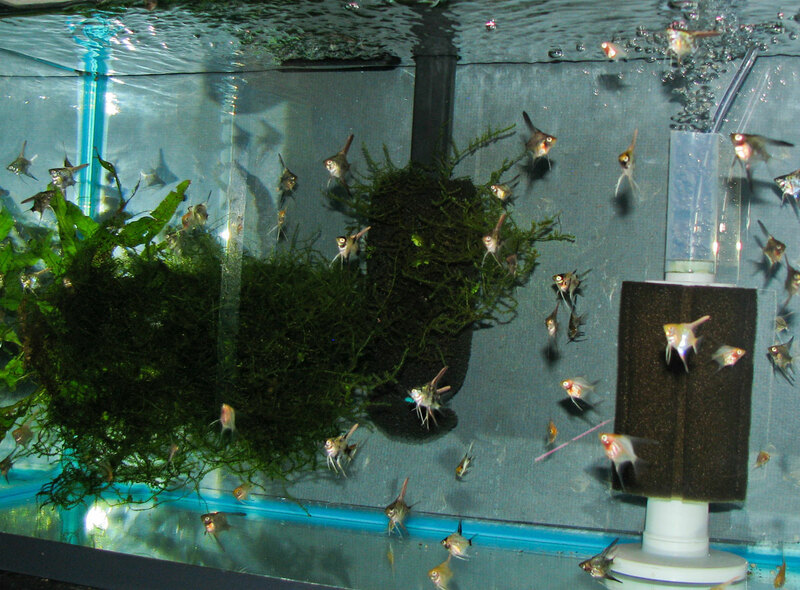 You have to keep their aquarium very clean to prevent bacteria outbreaks and ammonia spikes. Some fish are more sensitive than others, but angelfish are especially prone to problems that start in the first days of life. 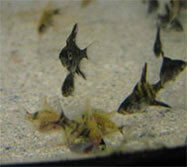 My main experience is with angelfish, but it would seem that if a process works for them, it will work for many others. Why do angelfish get bent fins? This has been a debate on the Internet that I've seen argued on the forums over and over. People who change 90% of the water and scrub out their fry tank twice a day might not even think about what causes bent fins because they probably don't see too many. I've never gone to this extreme because of my work schedule. I just can't spend that much time on the fish. However, I've observed what happens after various degrees of care and I have found that the only way to keep their fins as straight and long as possible is to maintain excellent water quality in a clean aquarium. Do fry get ammonia burn from unmeasurable amounts of ammonia in the water as reported on the Internet? I don't know, but that sounds a little paranoid to me. I'm sorry if that's your opinion and also I'm not saying it isn't true. It needs scientific study. 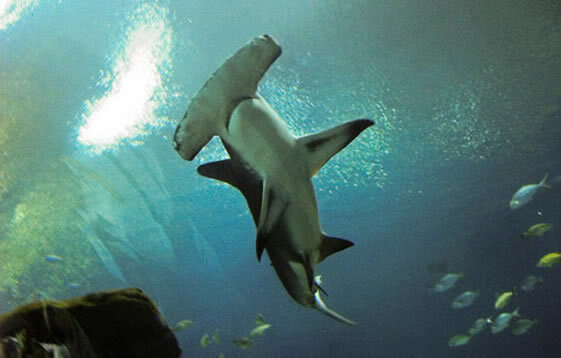 I do think that they get fins burnt by measurable amounts of ammonia, and gill damage, etc. If that happens, they will never grow up into the robust adult fish they could have been. What I do think happens is NITRATE burn. Yes, nitrates. I'm not going to say that 20 to 40 ppm of nitrates will do it as you also might see out on the forums. Sure, zero nitrates would be ideal, but again I'm being practical here. Space and time requirements affect how low you can keep the nitrate levels through water volume and frequency of water changes. Also, if any uneaten food or BBS builds up on the bottom of the tank then there could quickly be an aquatic meltdown that wipes out all your fish. So, what do you do about ammonia, nitrate, and miscellaneous gunk? I'll show you what I've come up with. 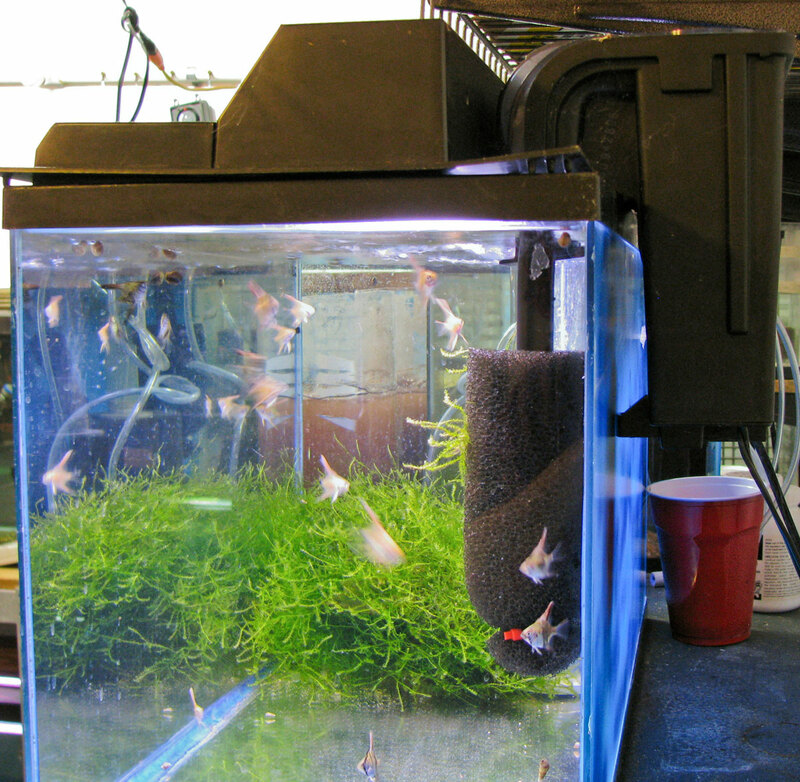 In this project, I'll show you how to set up a fry tank with baby-safe filtration. The goal here is to set up the aquarium with the prefilter sponge placed over the intake of the Penguin filter, to have a sponge filter, and to have some java moss. To start, place your aquarium on a secure stand or rack that can hold the weight of the water (as always!) and fill it with treated and/or aged water. I always use Amquel Plus to treat my water, but I also age it for at least 24 hours in a large horse-watering container. Next, place the sponge filter in the tank. I would recommend using the Lustar Hydro Sponge III filter. It is bigger than needed, but it will give the fry additional area where they can graze on micro-organisms. Also, it has a weighted foot that keeps the sponge material off the bottom of the tank. 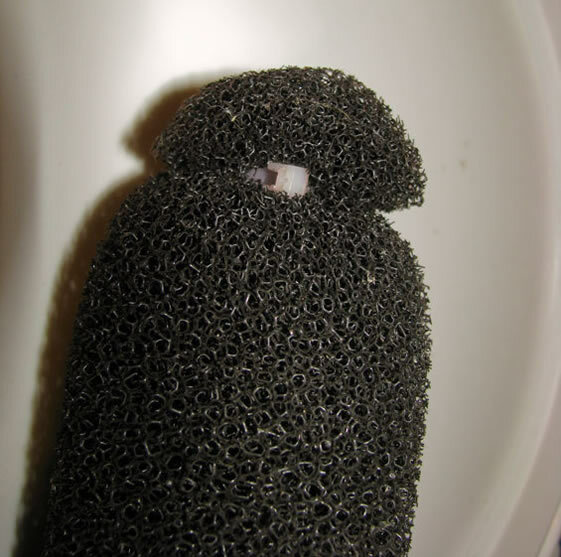 These filters have a place to attach the airline to the top of the assembly and the air would be released inside the sponge, but I prefer to put a small piece of airline and an air stone inside the cavity in the middle of the sponge. If you don't do that, then the air bubbles are too big and sometimes cause fry to get sucked into the lift tube. If you are using a 10 gallon tank, assemble the Penguin Bio-Wheel 100B and hang it on the back of the tank. Make sure the bio-wheel is seated correctly in the purple U-shaped holders. For a 20 gallon tank, I would use the 150B instead. I would even use the 150B on the 10 gallon tank, but there's too much of a whirlpool effect. All of my 100B filters tend to have a problems restarting after water changes or if the water gets even a half an inch low in the tank. The 150B is a little better in that regard and the bio-wheel is much larger. Now, remove the lift tube from the Penguin filter and carefully force the sponge over the strainer just far enough that it won't be able to fall off. The reverse flow prefilter sponge listed in the parts list isn't quite ideal, but it is pretty close to perfect. First, it is made of reticulated foam so it doesn't clog easily because of the larger pores, but it still won't allow the filter to inhale any fry. It also happens to just fit over the rectangular tubes on the smaller Penguin filters. The drawback is that it has a hole on both ends so you have to seal off the bottom. I just place a clean zip-tie at the end of the filter. It isn't listed as safe for aquariums, but I've had no problems with zip-ties in any of my tanks. If anyone knows of a better sponge that fits over the end of these filters and doesn't have a hole in the other end, please let me know. The sponge filter is placed over the end of the filter intake to keep fry out, but it also allows brine shrimp eggs to be filtered out of the water and provides additional biological filtration. Why does this project have 4 sources of biological filtration? Yes, I've only mentioned 3 so far, but there's the java moss, too. For starters, I would use a bio-wheel filter on any aquarium whenever possible. 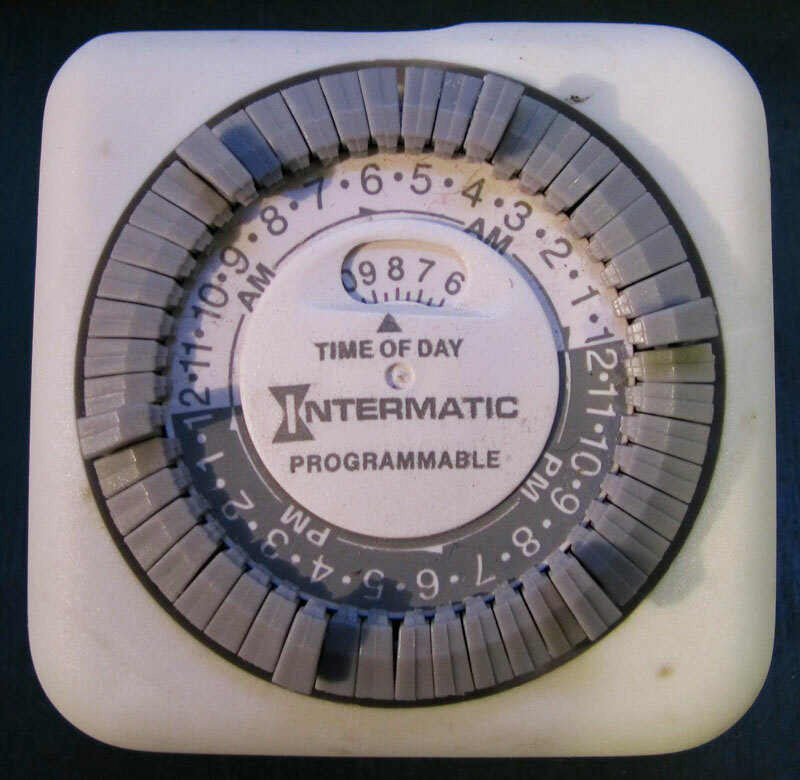 A bio-wheel has more capacity than anything of the same size and it is constantly exposed to the air. It can filter out a tremendous amount of ammonia and nitrite, especially if the bio-load on the tank is increased gradually. One of these days I'll do an article on my seriously overloaded Jack Dempsey tank to illustrate this point. So there's a bio-wheel, a prefilter sponge, a regular sponge filter, and some java moss all in one tank. My opinion is that you can't have too much biological filtration. Even will all this, I've had some incidents of fin burn (and we are back to the debate of ammonia vs. nitrate vs. bacteria). The fry are always growing so fast and I probably needed to move them to a bigger tank sooner. My point is that you shouldn't skimp on any of this unless you want to be doing 90% water changes every day (which comes with its own risks). 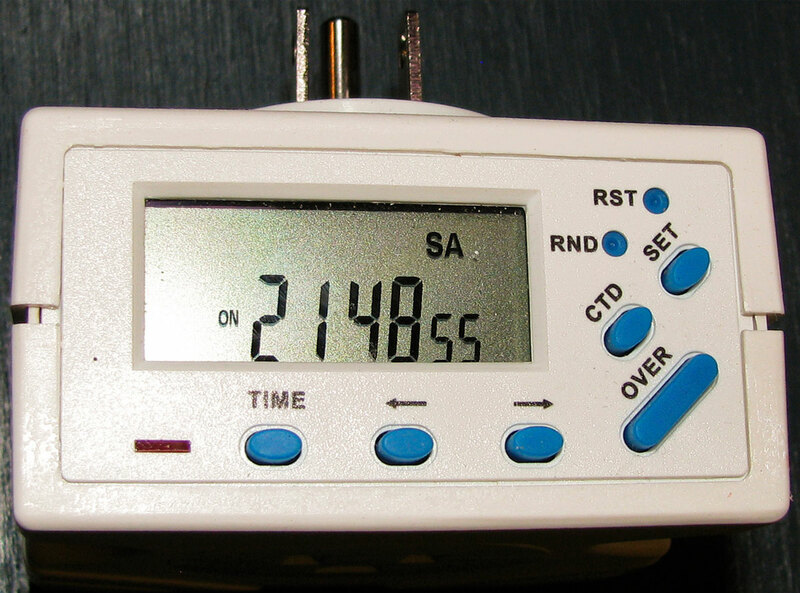 Another important piece of the puzzle is the light timer. 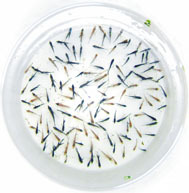 When the fry are small, they don't need to be spending all their energy swimming against the current. 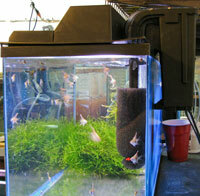 This is why many breeders use only a sponge filter with the air turned down as far as possible to keep the water calm. But since I strongly believe in bio-wheels, I needed a way to use it while still letting the fry get some rest. To do that, find a mechanical or digital light timer that lets you do at least 6 on-off cycles and set it to run for 30 minutes every 4 hours. That's exactly 6 times a day. The bio-wheel can probably go 24 hours before the bacteria start to go into hibernation mode, so this will give you 3 hours of bio-wheel activity a day while keeping the wheel at least moist. As the fry get big enough to stand up to the current, you can disable the timer and let the filter run continuously. 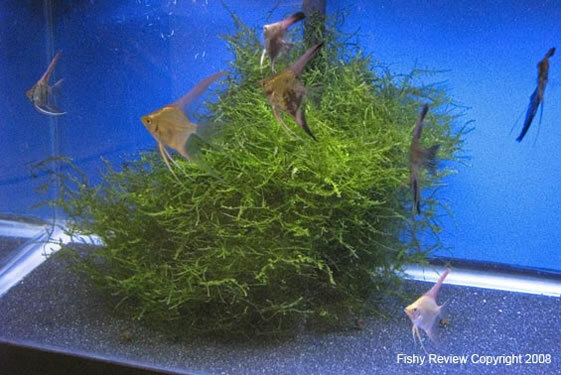 Finally, don't forget to drop in a nice clump of java moss. You may have to buy your first clump, but if you keep it in good aquariums you should have enough to start throwing it away eventually. 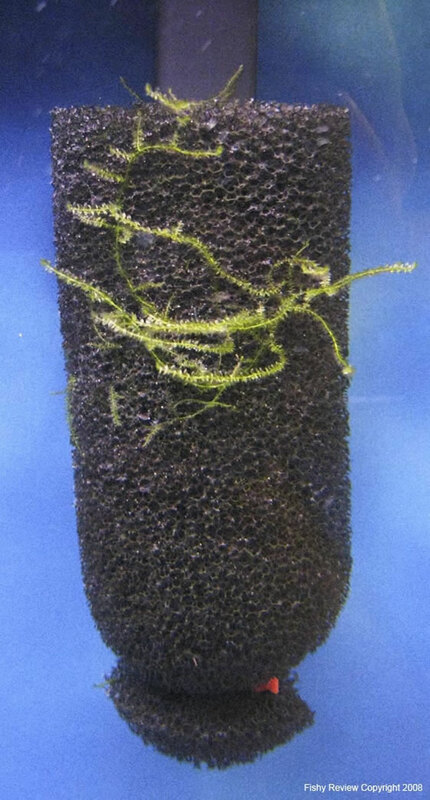 Also the java moss will become attached to the prefilter sponge and grow well there. Another advantage of the sponge is that it will keep the moss from getting tangled up in the filter's impeller. Also, here's a bonus feature. I always put at least 2 small snails in the aquarium to clean up any uneaten food. 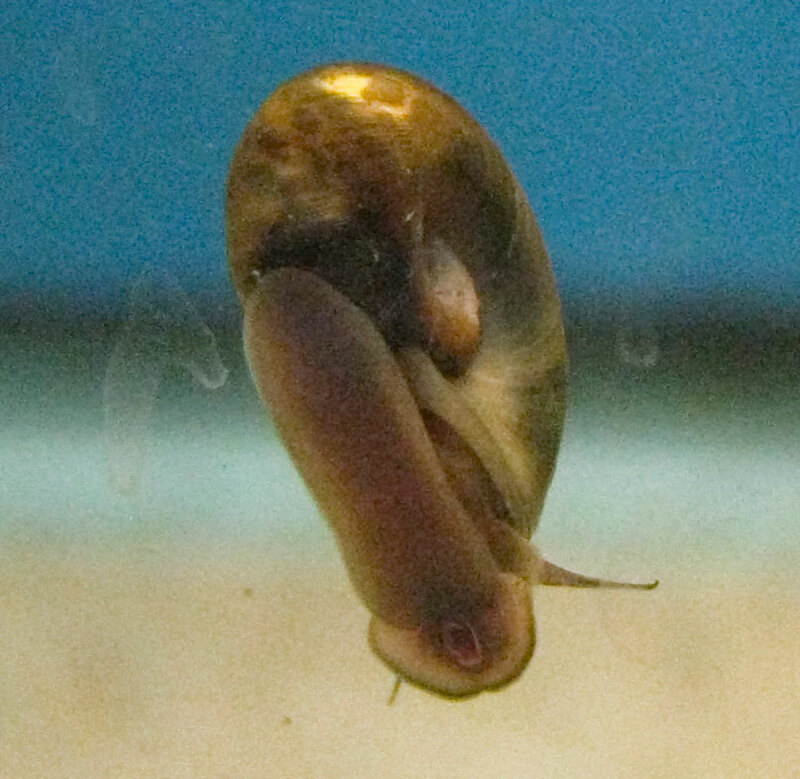 Snails do create waste, but it is pretty much inert because they digest their food so completely. Having their droppings in the tank is better than having a mass of uneaten BBS in a corner. I don't recommend using malaysian trumpet snails because they reproduce too much. Also, I don't use mystery snails because they happen to eat sponge filters. I don't know what kind these are, but they never get any larger than 5/8" and are quite susceptible to being eaten by hungry fish when they first hatch. 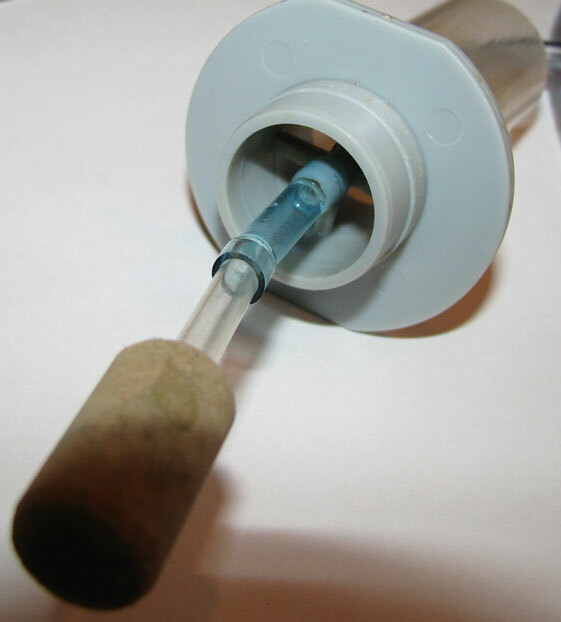 The premise of this project is simple enough -- you can use a power filter if you simply put something over the intake strainer so the babies don't get sucked in. The prefilter sponge shown will not fit over larger intakes, but with a little creativity you can find something else to use in its place. I like to use Whisper bio-bags on the larger Penguin or Emperor filter intakes. They clog easier and are more likely to restrict your water flow, but they keep the fry out. Also, putting all these elements together results in a more balanced system than just a tank and a sponge filter. Another way you can further increase your biological capacity is to throw in a handful of clean gravel. I would not recommend more than a scattering of gravel because the BBS would get lost and decay under the rocks. But a few dozen or a hundred pieces of gravel would add some surface area where the beneficial bacteria could grow.